Visning: 18–22 oktober. Berzelii Park 1, Stockholm. Öppet: mån–fre kl 11–18, lör–sön kl 11–17. Visar alla 34 föremål som matchar din sökning. 316. Francis Bacon, "Second Version of Triptych 1944, (Small Version)". 317. 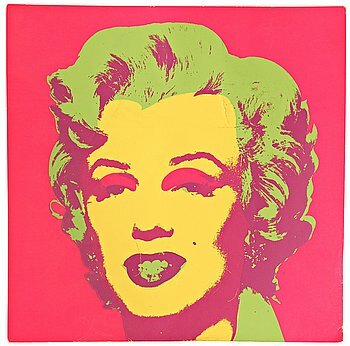 Andy Warhol, "Marilyn Monroe (Marilyn)". 318. 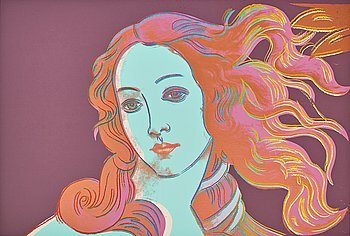 Andy Warhol, "Sandro Botticelli, Birth of Venus". 319. 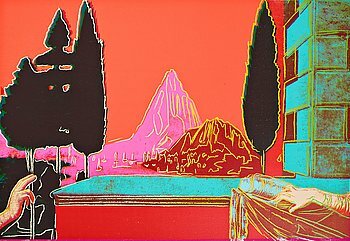 Andy Warhol, "Leonardo da Vinci, The Annunciation". 320. 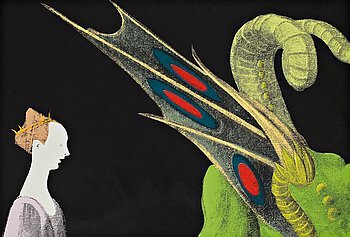 Andy Warhol, "Paolo Uccello, St George and the Dragon". 322. 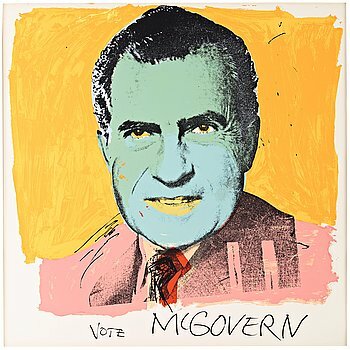 Andy Warhol, "Vote McGovern". 324. Roy Lichtenstein, "Apple and Lemon". 325. Roy Lichtenstein, "Sweet Dreams Baby!". 326. 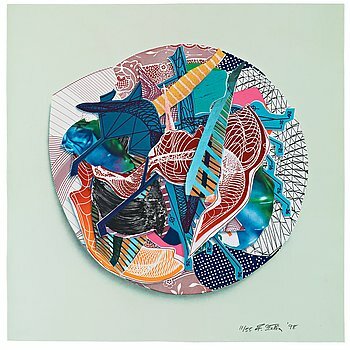 Frank Stella, "Purple Series" (3). 327. Sam Francis, "An Other Set - Y" (Triptych), från The Pasadena Box. 328. Richard Hamilton, "Collected Words, Nine Studies 1957-65". 329. Bruce Nauman, Utan titel. 330. Bernar Venet, "97.5 Degree Arc x 14 (#5)". 331. Dan Flavin, Untitled, from "The New York Collection for Stockholm" portfolio, 1973. 332. Bridget Riley, "Untitled Bleu". 333. Robert Rauschenberg, "Sling-Shots lit #8, Black State". 334. Robert Rauschenberg, "Features from Currents". 335. Robert Rauschenberg, "Araucan Mastaba, Roci Chile". 336. 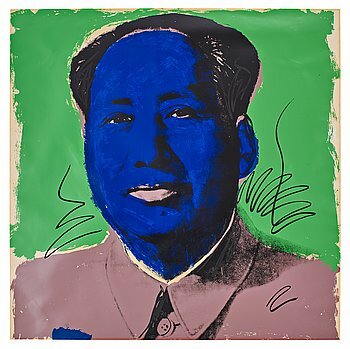 Robert Rauschenberg, "Doctors of the World". 337. Robert Rauschenberg, "Charms Against Harms". 338. Robert Rauschenberg, "Rookery Mounds-Crystal". 340. Keith Haring, "Pop Shop Quad II". 341. KAWS, "Things that comfort". 342. 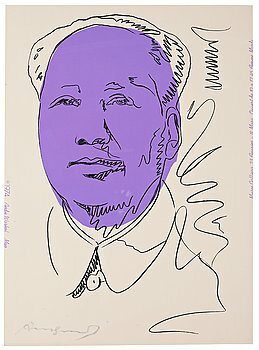 Harland Miller, ”Don’t Let The Bastards Cheer You Up”. 343. Christo & Jeanne-Claude, "Wrapped Reichstag (Project for Berlin)". 344. Christo & Jeanne-Claude, "The Gates (Project for Central Park, New York City)". 345. Christo & Jeanne-Claude, "Wrapped Road Sign, Project Light 65". 346. Christo & Jeanne-Claude, "The Umbrellas (Joint Project for Japan and USA)". 347. MICHELLE STUART, Litografi och färgfotografi på papper. Signerad Michelle Stuart i blyerts och numrerad A/P. 348. Jan Håfström, "Mr Walker".